SoloRain 8010 is a single zone battery operated valve controller. This unit fits all Signature Turf valves and many others with an adapter (not included). SoloRain® 8010 is a very compact waterproof design, constructed of nylon for durability and includes a protective cover. It can be submerged in up to 6’ of water. 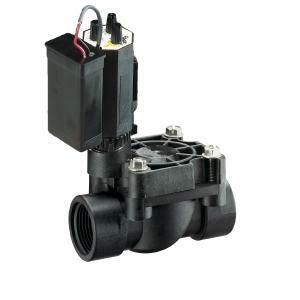 This unit is also available installed on Signature 7901 Valve. Dimensions (without valve): 4 1/2" x 2 2/4" x 1 3/4"